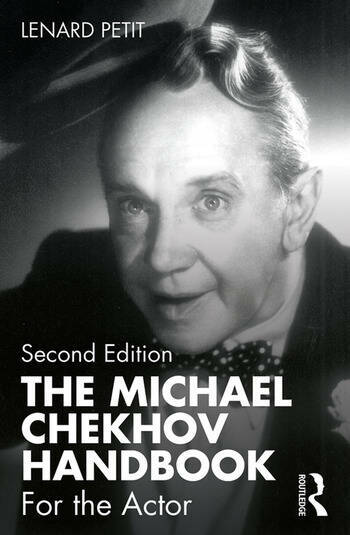 The Michael Chekhov Handbook is a practical guide to Chekhov’s supportive techniques for actors, fully updated with new exercises that examine the relationship between the sensations of the physical body and the imagination. Lenard Petit draws on twenty-five years of teaching experience to unlock and illuminate Michael Chekhov’s philosophy, and offers guiding principles and effective tools that actors can apply in rehearsal and performance. The second edition focuses on the building blocks of drama and an exploration of the five senses as an expressive springboard, with a new section on the function of the Archetype in the Chekhov method. Theory and practice are treated here with clarity and simplicity. Dedicated to students and teachers of acting, The Michael Chekhov Handbook provides readers with the essential tools they need to put the rewarding principles of this technique into use. Lenard Petit is one of a handful of teachers trained by the original members of Michael Chekhov’s Theatre School. He is a founding member of the Michael Chekhov Association, MICHA, and the Director of the Michael Chekhov Acting Studio NYC. Mr Petit is a an internationally recognized master teacher of this approach. He has worked with the technique for more than thirty years and shares his first-hand and developing knowledge in a clear and manageable form.